Donald Trump Jr. Is Asked To Testify On Capitol Hill Next Week A letter is being sent to Donald Trump Jr. asking him to testify as early as next week before the Senate Judiciary Committee in an open session. The president's son has said he's willing to testify. Donald Trump Jr. told Sean Hannity of Fox News that he is willing to testify under oath about his June 2016 meeting. 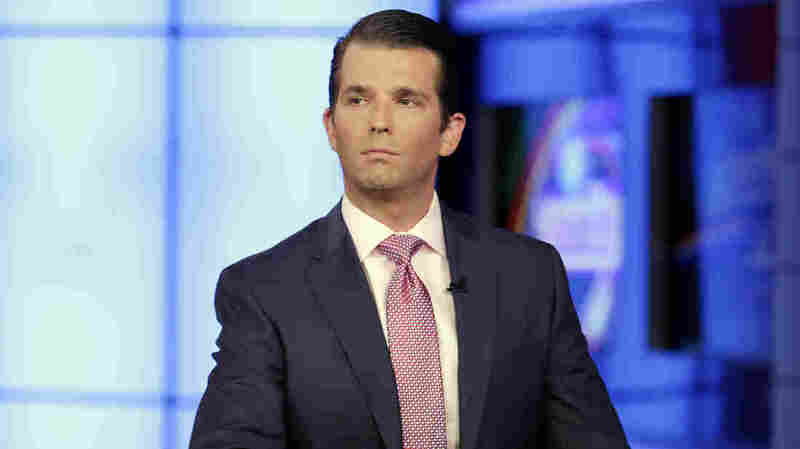 Senate Judiciary Committee Chairman Chuck Grassley, R-Iowa, tells NPR that he's sending a letter to Donald Trump Jr., saying that he wants the president's eldest son to testify in an open session of the committee and will subpoena him if necessary. Grassley first spoke with CNN. It's the first formal invitation for Trump Jr. to appear before congressional investigators, who want to learn more about his June 2016 meeting with Russian lawyer Natalia Veselnitskaya. The meeting was also attended by Trump son-in-law and adviser Jared Kushner and then-campaign chairman Paul Manafort. Grassley says he wants Trump Jr. to appear "pretty soon," and it could be as early as next week. Trump Jr. this week released an e-mail exchange which preceded the meeting. In it, he appears willing and eager to accept damaging information on Hillary Clinton as part of an effort by the Russian government to help his father's presidential campaign. In an interview this week with Sean Hannity of Fox News, Trump Jr. downplayed the significance of the meeting, calling it a "waste of time." Congressional investigators clamoring to interview Trump Jr. The Senate Judiciary Committee is conducting one of several congressional probes focused on Russian interference in the 2016 presidential election. Grassley is the first Republican chairman of a committee leading such an investigation to publicly issue a formal request to meet with Trump Jr.
A spokesman for the Judiciary Committee chairman did not respond to a request for comment about the letter. Members of the Senate and House Intelligence Committees have also said they want to meet with Trump Jr., although neither panel has issued an official request. Trump Jr. — in his interview with Hannity — said that he is willing to testify under oath about the meeting.